Life in the dreamhouse!! | true life is stranger than fiction..
Sunshine never fails to brighten my day. 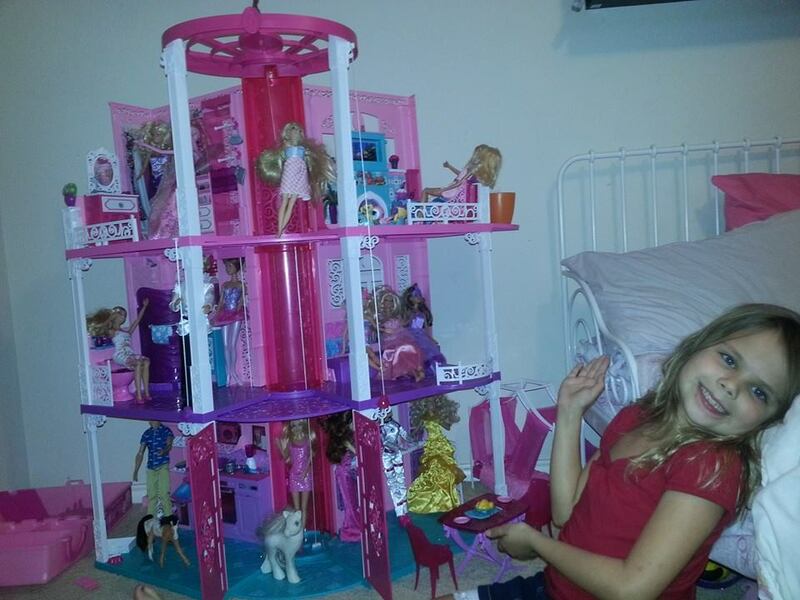 The only thing the child wanted for Christmas was a Barbie dreamhouse. And Santa came through. Sunshine has been enamored with taking pics of her 18+ Barbies and their lives in the dreamhouse. I do want to point out that I make sure Sunshine knows that Barbie and her universe aren’t real. That NO ONE can look like Barbie. That no one is perfect, people come in all shapes and sizes, and that goal of existence isn’t to look fabulous all the time. I make sure that she knows that there is more to being female than make up, shoes and the perfect dress. That there are more to male/female relations than just dating and parties. That there are more to women than their looks. That is my one demand in allowing her to play with toys that objectify women, that she sit through my lectures on feminism. So far, so good. I listen to her playing. Most of it revolves around her creating interactions between sisters. Between moms and daughters. Having a large family and the family taking turns caring for animals. Next to the dreamhouse is a stable with horses. And they visit the Littlest Pet Shop playhouse. They play school a lot. So I’m not worried. I have no idea what they are doing…plotting murder? Having an intervention? 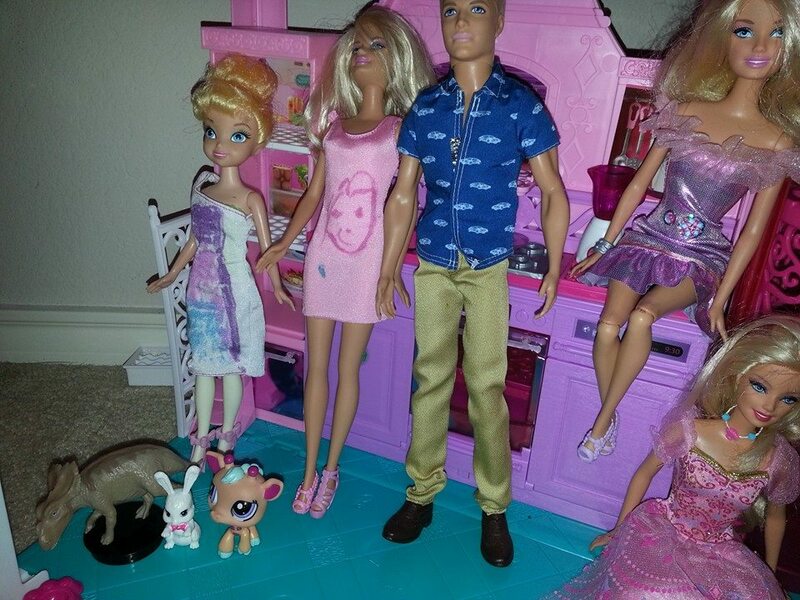 Ken is apparently trying to pick up Barbie. 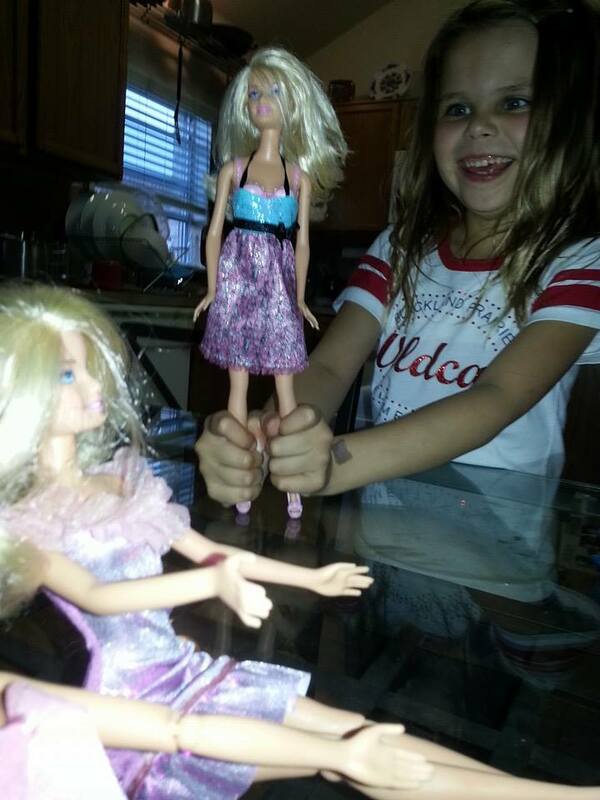 And Barbie clearly isn’t interested. This definitely is taking place in Austin. 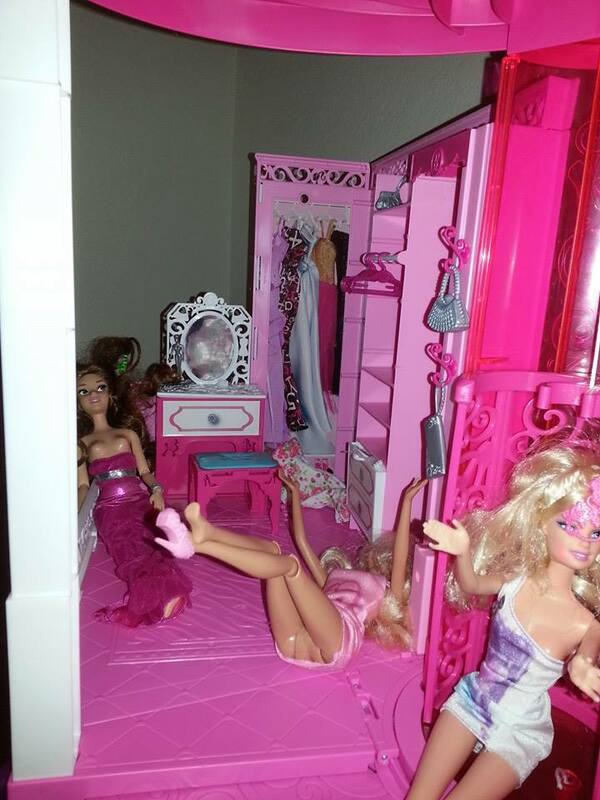 And it looks like the girls had a fun night…and they clearly have heard of Britney Spears and Janet Jackson.